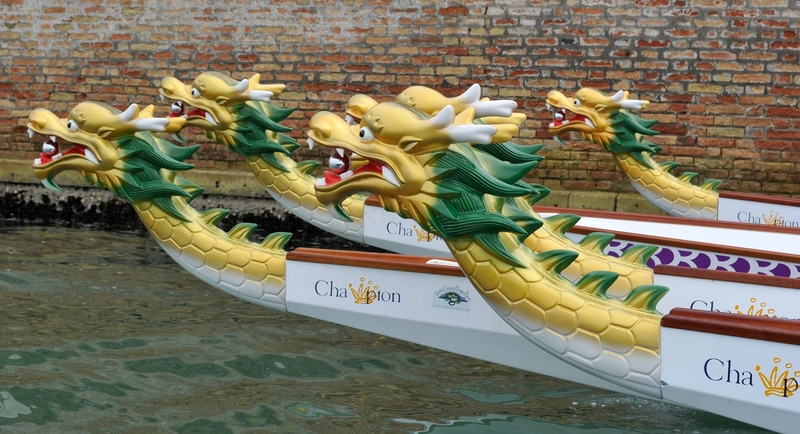 Venice Dragon Boat Festival - . Boat Festival - Info Bulletin 1. Welcome to the 5thVenice International Dragon Boat Festival! A spectacular 200mt sprint event held in just as spectacular surroundings, and a prestigious Opening Ceremony that features a parade of dragon boats and drums along Venice’s Grand Canal! .... including the Italian DB Championships, the annual Venetian End-of-School Year finals, the Students Games and the International Flatwater Canoe and Kayak regatta in Auronzo di Cadore. With our Club based in Venice, what more spectacular place to be able to race in, or simply paddle around. Our Festival is aimed at both the professional racing teams and also for who just love to paddle for fun. This, we believe, gives paddlers the opportunity to not only participate in two memorable events, both spectacular in their surroundings, but also to visit in what is a unique city – Venice.